As I was walking through the book store last week, this book caught my eye. I was immediately transported to memories of my childhood when I enjoyed this book and scratch and sniff stickers in general. I remember receiving grade school papers back from the teacher with a popcorn or root beer scented sticker and thinking my work had been elevated to a new dimension. 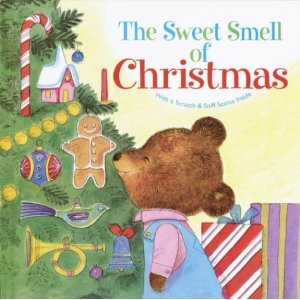 The Sweet Smell of Christmas by Patricia Scarry has been out of print for several years, but luckily was republished recently so that a whole new generation could enjoy it. There are six delectable scratch and sniff scents in the book. I particularly like the orange and hot chocolate aromas. The Golden book is a “sweet” tale of a bear who explores the smells of Christmas. It is definitely a story that you will want to share with your children. After reading the story, why not make your own scratch and sniff stickers. You can then use the stickers to create a book, poster or letter (see below). They are very easy and inexpensive to make. You will need sticker paper, crayons, a variety of Kool-Aid flavors, water, a teaspoon, paint brushes, scissors, small mixing bowls (a styrofoam egg carton works well) and paper. 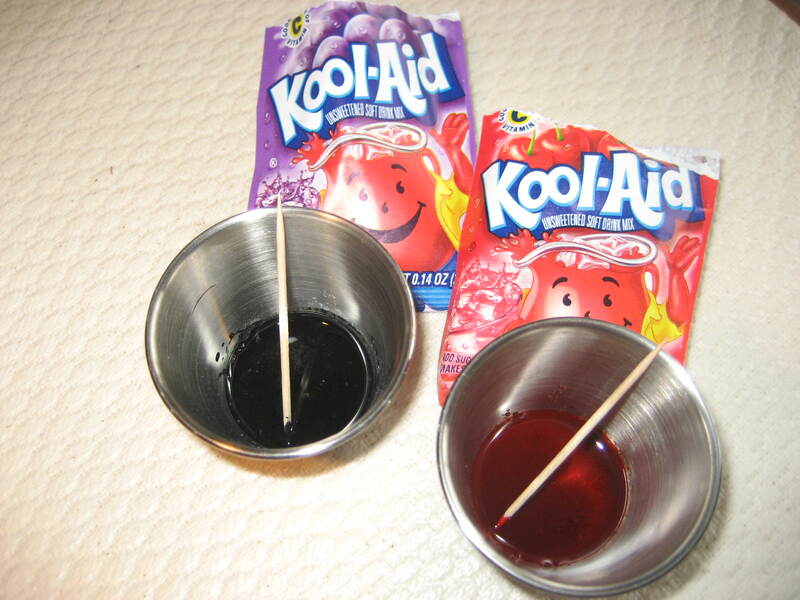 First, mix each Kool-Aid packet with 1 tsp. of water in small bowls. 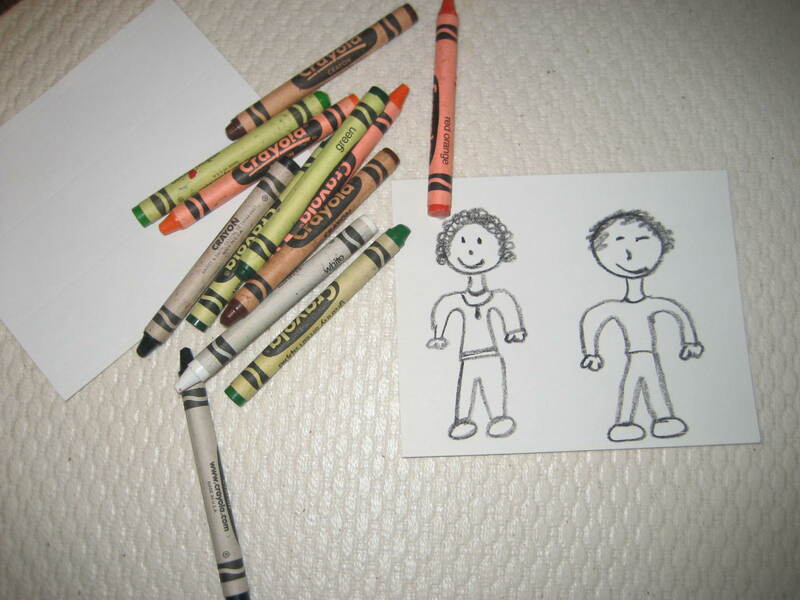 Next, draw an outline of the image for your sticker on sticker paper with crayons. Here I drew two people. 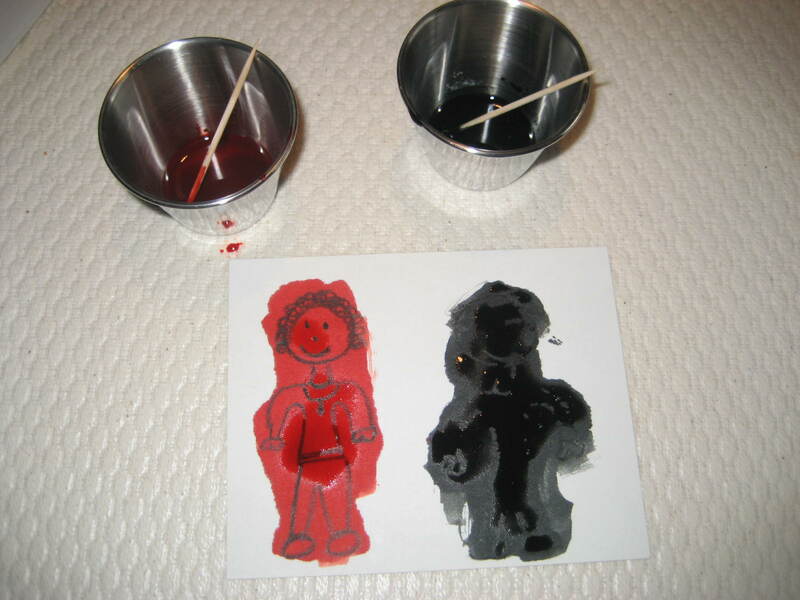 Paint your Kool-Aid mixture on the sticker images. Only use one color for each sticker. Allow to dry completely. When dry, cut out your stickers out. You are now ready to use your scratch and sniff stickers in a literacy activity. 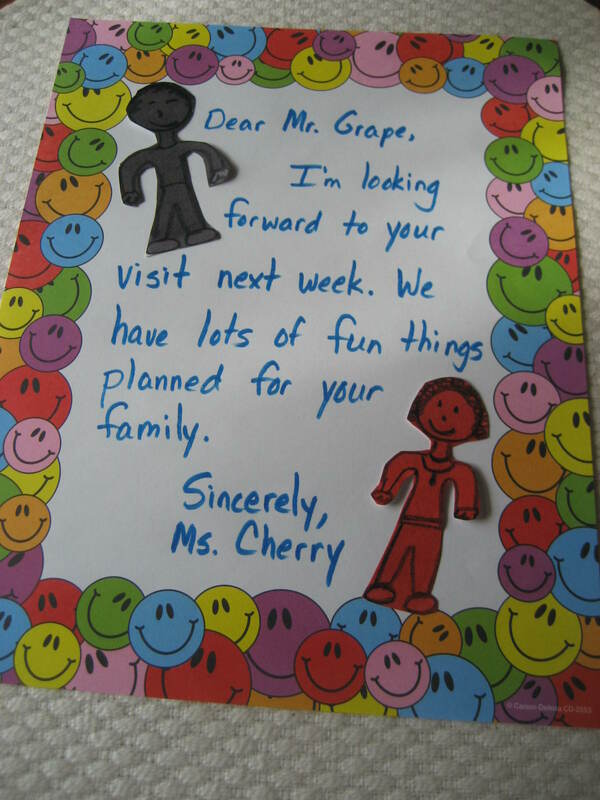 Here I created a letter from Ms. Cherry to Mr. Grape. You can also use the stickers in books or on posters. There really are so many possibilities. I’m linking to READ.EXPLORE.LEARN, ABC and 123 Show and Tell, and For the Kids Friday. This is too cool! I can’t wait to try this out. I agree with Rachelle. This is really cool. Thank you for sharing it. Fun! I love this idea… I love the book too and I had just been wondering why they don’t seem to make scratch and sniff stickers anymore- those were the best!! It seems like scratch and sniff stickers were the rage in the 80s. I used to get them on my school papers. If you do a google search there are still some places that carry them.